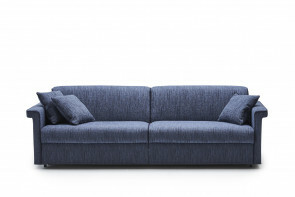 Morgan is an Italian bergère sofa bed with a 190 cm long and 12 cm high mattress. High quilted backrest with lateral "wings". Wooden or lacquered base. 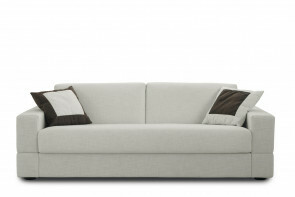 Michel is a 3-seater sofa with double bed for mattress 160 x 190 or 160 x 200. Upholstered in fabric, eco-leather, leather. Removable and washable cover. Groove everyday sofa bed with storage backrest. Convertible into XL single, French double, standard double or king size beds, with a h.14 mattress. Tommy by Milano Bedding is a modern folding sofa bed with a dry-cleanable removable cover and slide-out opening system. In 2 or 3-seater folding models. 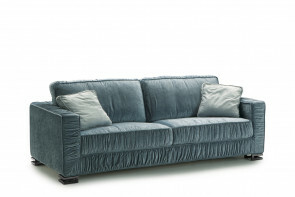 Charles is an Italian sofa bed with curved backrest. 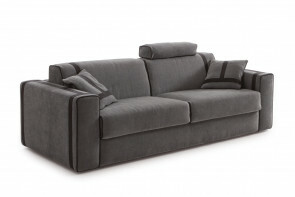 An easy-to-open sofa convertible into a XL single, French double or standard double bed. 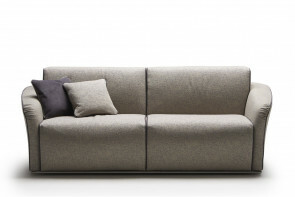 Andersen is a modern sofa bed with a one-piece seat and a single or double mattress. A narrow sofa bed with optional lumbar and armrests cushions. 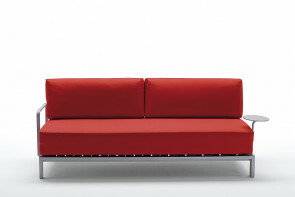 Lampo is an Italian sofa bed with Lampolet mechanism also available as armchair. With different mattresses in several dimensions, and 8 armrest models. 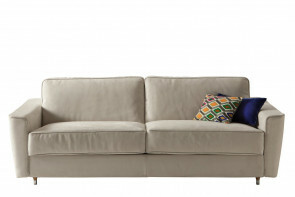 Parker is a modern sofa bed with low backrest, flared armrests and a wide seat. It can be converted into an XL single, French double or double bed. 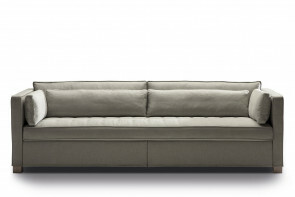 Jeremie is a modern dormeuse sofa bed, convertible into a standard double or French double bed. Base in solid wood or lacquered in RAL colours. 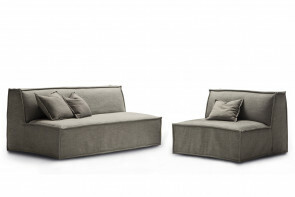 Petrucciani is a made in Italy sofa bed convertible into a single, XL single, french double and standard double bed. Standard h.12 mattress in expanded polyurethane. 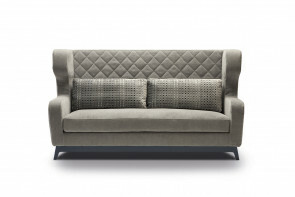 Grand Lit is a modern sofa bed with checked cover and reclining headrests. 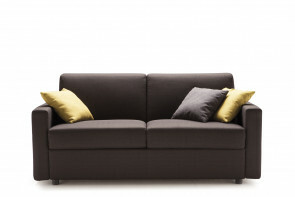 Available as a 2 or 3-seater sofa, it is equipped with a 14 cm high mattress. Garrison is a sofa bed with creased fabric cover available as a 2 or 3-seater, that can be transformed into a large single, French double or double bed. 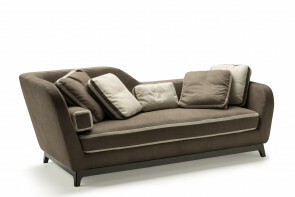 Douglas is an Italian luxury velvet sofa bed with a tufted decoration. It is available with cover in leather, eco-leather or fabric and a 14 cm high mattress. 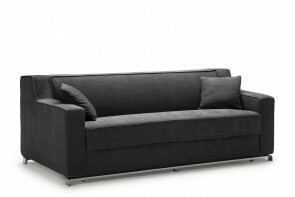 Brian is a modern sofa bed with sprung mattress and removable cover. With a one-piece seat cushion and a cm 14 high and cm 200 long mattress. 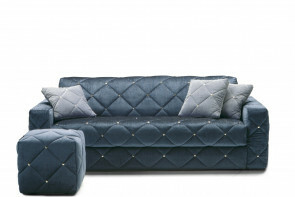 Dorsey is a tufted sleeper sofa with high backrest. An original and versatile model, available in 2 or 3-seater variants, with wooden slats and resilient mattress. Jan is an Italian convertible sofa with a 18 cm high mattress with traditional or pocket springs, in polyurethane or memory foam. Armchair, 2-seater and 3-seater sofa. Larry is a modern sleeper sofa with high mattress. 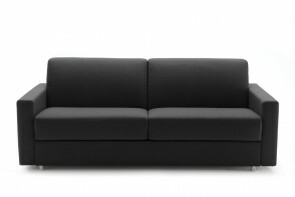 It is available in single, XL single, French double, and double models, all with a hidden pillow compartment. Ellis is an Italian sofa bed with high mattress suitable for a daily use: its 18 cm high and 200 cm deep mattress makes this sofa bed comfortable like a real bed. Willy Side is a modern sofa bed with metal armrests, that turns into a single or double bed. Also available without armrests, with side tray and other accessories. 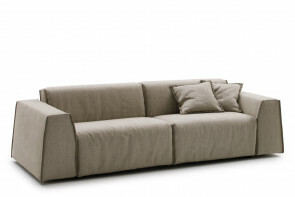 Willy is a modern sofa bed with slide-out base and high-resilience polyurethane foam mattress. High embossed metal feet. With optional armrest and tray. 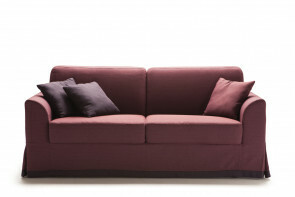 Evans is a modern sleeper sofa with a wavy shape and no armrest available in one or two colours. Equipped with pull-open mechanism and pillow holder.